Another Whale of a Tale: Creationists Without a “Whimper”? The alleged evolutionary history of whales continues to be a hotly debated topic in the current creation/evolution controversy, despite what some evolutionists are saying (including one of its more visible spokespersons, the science journalist Carl Zimmer). The argument for whale evolution became particularly well known in the 1990s when whale fossils, allegedly found with small legs, became major examples of the proposed land-to-sea evolution. But is the story of whale evolution really settled? 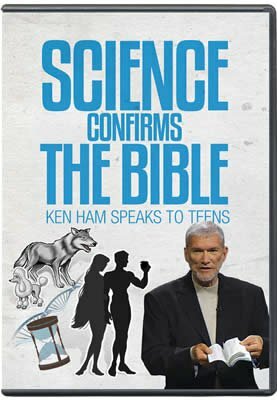 In a radio interview with the ABC network in Australia, Zimmer, an American evolutionist and science essayist (e.g., Time magazine, New York Times, etc. ), was defending molecules-to-man evolution. He claimed that creationists have now become virtually silent regarding the fossil record of whales. Zimmer is the author of At the Water’s Edge (www.carlzimmer.com/water_1.html), in which he looked at two evolutionary puzzles: how fish walked ashore, and how the ancestors of whales returned to the sea. As summarized by ABC, Zimmer offered this tale of the walking whale: “… [C]reationists [the radio network is summarizing Zimmer’s thoughts here] for many years pointed to the absence of any whale fossils with legs to substantiate the ‘evolution’ theory that whales ‘evolved’ from the land to the sea. Apparently creationists thought it was an absurd idea. Needless to say [continues the radio report], Mr. Zimmer is pleased that whale fossils with small legs were discovered in the 1990s. He hasn’t heard a whimper about whales ever since” [emphasis ours]. No whimper from creationists? That’s one big whale of a tale, for creationists have been devoting many a printed (and web) page-and public lectures-to assertively debate the evolutionary whale claim. For example, an entire chapter in Dr. Jonathan Sarfati’s book Refuting Evolution has a lengthy critique of whale evolution. Basilosaurus has also been offered as an ancestor to whales; while it did have hind limbs, they were far too small to have anything to do with walking. Yet evolutionists agreed that they were clearly functional, not useless, and the most common view is that they were probably used for grasping in reproduction. Ambulocetus had hind limbs, and could walk; it is thus the latest fossil candidate for whale evolution. However, as explained in Refuting Evolution, it is doubtful that this supposed creature (constructed with some imagination) had anything to do with the history of whales.